Spring butterfly seen from April to June. 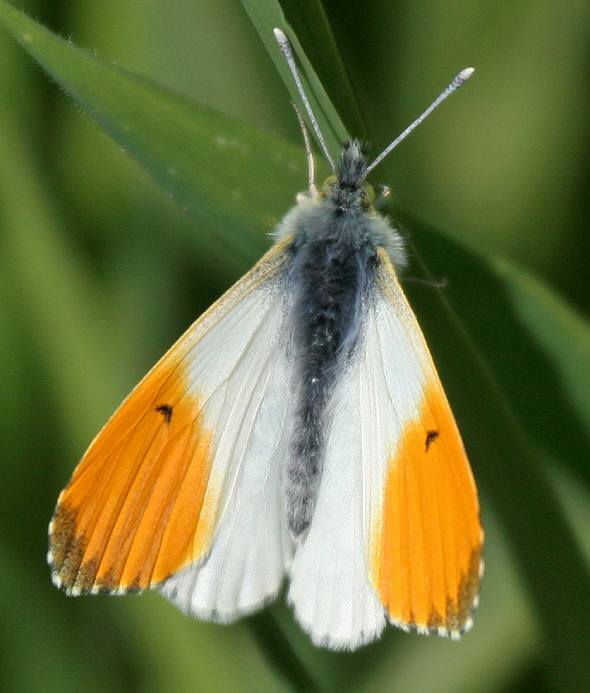 The male has orange wing tips, the female has no orange colour and are mostly white on the uppersides. Both have mottled green on the undersides of the wings. They live for about 18 days.